In 2005, Luvi Wheelock opened her couture bridal boutique, Casa de Novia, in Houston’s exclusive River Oaks neighborhood, giving area fashion forward brides access to the wedding industry’s most sought after designers. The elegant boutique boasts art gallery-like interiors marked by crisp white walls, floor-to-ceiling windows and exposed-ducts overhead. Eye-catching statement necklaces and peep-toe pumps double as interior art, displayed near racks of soft lace and tulle confections by designers like Monique Lhuillier, Oscar de la Renta, Lanvin Blanche, Ines di Santo, Isabelle Armstrong and Carolina Herrera. 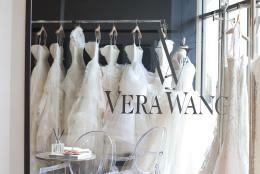 In spring 2012, the popular salon also had the honor of unveiling Houston’s only Vera Wang in-store boutique, which spotlights Wang’s coveted bridal and ready-to-wear collections. 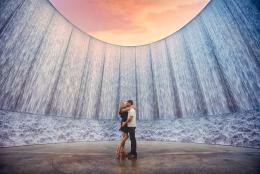 Casa de Novia is open Monday through Saturday, by appointment only.